If you’d like to know how people feel in a country different than your own, you should read collections of their thoughts. Century Sentence by Xu Xue Chun is just that: a collection of previously published thoughts from a man who lives in China. At a staggering volume of over five hundred pages, you will learn how Chun’s thoughts have impacted his life and how he feels about the state of the world. Available in both Chinese and English, for the purposes of this review we will be referring to the English version. Here, readers will be able to see inside the mind of a single citizen of China while learning how one man has taken his upbringing and applied his cultural views on various states and topics of global concern and turning it back again upon his own country. This book is broken down into three key sections and the thoughts within are organized as such. The first section refers to a commentary on China. Here, readers will find the thoughts of a man who is not always at peace with the decisions of his country. Chun gives readers a glimpse at what his reality is and how he feels about this. He dabbles with philosophical ideas and his views on them. The second section is a commentary on Islam. Chun is not pleased with how things are developing around the world and within China on this subject. The final section is a commentary on Western and other countries. As a writer from a western country, it is interesting to see how others perceive my country from a completely different perspective. By sectioning off his thoughts like this, Chun makes it easy for readers to get into a flow. As the author is Chinese and has limited English skills, by his own admission, grammatical and spelling mistakes are expected. It can be difficult to read this, however, because of how the translation was done. There is no flow and sentences can feel choppy and uncomfortable. Chun’s thoughts on western countries are fairly archaic. His thoughts on gender roles and how the world can resolve its incessant need to keep fighting itself are also alarming. There are several passages in the book where Chun makes reference to how men and women should treat each other and what Japan can do to be seen in a better light from his perspective. 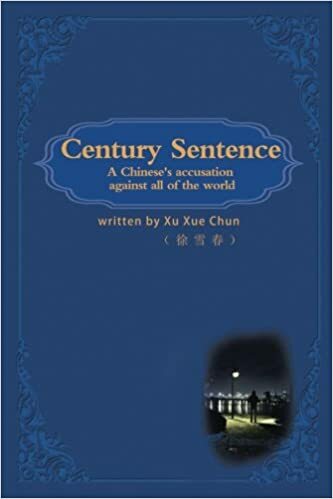 If anything, Century Sentence by Xu Xue Chun is an exercise in seeing how a citizen of a country as large as China views the world around him. The thoughts are fairly well organized although the translation could use a bit of work. It is an exhausting read, however, and not one that would be easily recommended. This book could be useful for those who are studying international societies or for people who are looking for a wildly different perspective on world cultures. The Knights Templar are much more than a group of men with vague secrets. They are men of action. Men of power. And they have a purpose. They must safeguard the next coming of Christ. The time of the next coming has arrived and great evil stands in its way. 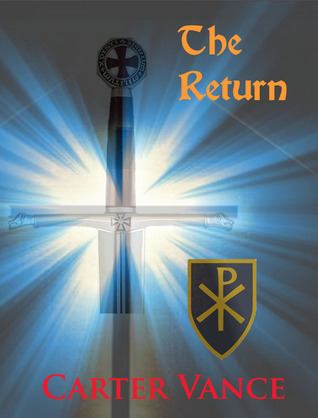 The Templars must use all their training and power and influence to fight back against an enemy that has infiltrated the upper echelons of society and has inserted itself as a power player in politics, finance, and even the drug trade, all in preparation to thwart the prophecy that has yet to be fulfilled. Sarah and Peter Christos are the expectant parents of the next prophet and are wrapped up quickly in the Templar world. They have to fight not only for their lives, but for the life of their unborn child. The Return is an impressive romp around the world. I thought at first that this book was going to be like The Da Vinci Code, but was pleasantly surprised to find that it’s more like Dan Brown meets Tom Clancy. Although, both aspects seem overtly contrived. While there is some interesting world history blended with fiction to the point where it’s hard to tell the two apart, other parts are a little too unbelievable. Example: At one point the President of the Islamic Republic of Iran gets a random visitor to his house. The man presents himself as a dead, but now resurrected, Imam from 800 years ago and the President accepts this with the guy basically saying ‘trust me, it’s me’ and the President proceeds to divulge some fairly important information to a person that just walked off the street (later it’s revealed that the man is not an Imam and is indeed a regular guy just trying to get information). Like the old order, the Templars’ in the book are a military order to its fullest realization. They’ve got secret military installations, tanker ships converted to mobile assault bases, fighter jets, and battalions of highly trained soldiers, but the weapons systems are a little too futuristic to fit into the Tom Clancy style of books and pushes the book into the science fiction genre; which is not necessarily a bad thing. While all the action and fighting and weapons were interesting what brought this book down a notch for me was that the whole book was delivered with a lack of basic literary devices. It’s not that these specific things are missing completely; it’s that the creative writing was missing from this very creative story. And instead the story is given in lines of facts; ‘he did this’, ‘she did that’, ‘they went over there’, and then a series of details of what a place looks like followed by a timeline of what happened. It’s unfair for me to say this book does it and none others do; it’s just that it’s more prominent in this story where other stories would cover it up with creative writing so you don’t really notice it. But back to my earlier statement; if you enjoy Tom Clancy-esque stories than this might be right up your alley, as the action and adventure take you on a wild ride around the world. Soldiers of Dragon Company are out on patrol in Iraq when they’re quickly ambushed by Al-Qaeda leaving two soldiers missing in action while the rest of the soldiers on patrol are left dead. Everyone in the army wants the perpetrators found, but the commanding officers want the two missing soldiers found quickly to save their careers rather than to help the grieving families. An ex CIA operative, Eric Ritter, is tapped to find the Al-Qaeda cell and missing soldiers. 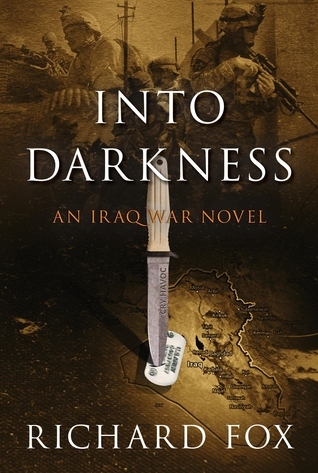 Moral lines are clearly drawn and Ritter crosses them several times through the novel leaving the question of, ‘who really is the bad guy?’ The ending of the novel offers little in the way of moral direction and serves to offer an even darker contrast to the novel, hence the title, ‘Into Darkness’. There are several things that this novel does right. The essence of a soldiers life in Iraq is confidently captured down to the smallest detail. You can obviously tell that the author has been to Iraq and is calling on his own life experience. I rarely found any hiccups in the writing and dialogue flowed easily. The story switches back and forth between the US soldiers perspective and the perspective of the insurgents, but I felt like there were several chapters that didn’t move the story forward at all and could have been summarized and combined with other chapters to pick up the pace of the story. The only other issue I had with the novel is the misplaced focus of detail. An example, when an explosion goes off the author describes the event with a simple “BOOM!” There’s a missed opportunity here to paint a beautifully destructive picture of an explosion ripping through vehicles, people, and lighting up the night sky while in the next chapter were treated with mundane details of a briefing room layout that’s given an entire paragraph. Also, simple character movements and placement were given a hefty amount of real estate throughout the book, but I think this is normal for new authors as they decide what should be left to the reader’s imagination and what should be left out. For this being a military novel I felt that there was an awful lot of talking and maneuvering going on between the characters which might suit some readers that prefer dialogue over a straight up firefight. In the end, ‘Into Darkness’ truly captures the essence of a soldier’s deployment and deftly blurs the lines between good and evil. On a stormy night a family reads to pass the time, enjoying each other’s company, when there’s a noise in the garage. The father goes to investigate and what he finds will change his family. Truths will be told, emotions will run high and quiet nights at home will never be the same. This short story was a quick read, but it took me a while to get used to the grammatical structure that reminded me of stories I read in college. While I thought the prose was collegiate it reminded me of the writings of Oscar Wilde. True to Oscar Wilde’s form the story takes on a bit of morbidity, describing images of corpses and blood that break up the stories abundance of internal turmoil. While the tension is built steadily through the story the ending is somewhat anticlimactic as it seems that the emotional turbulence of the characters end up being products of their own imaginations, fears and insecurities. But the level of tension achieved in the story with just character insecurities is well done. 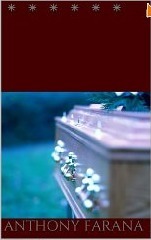 Lastly, the story is untitled which made it nearly impossible for me to find the book online through any search engine. I would imagine that anyone that wants to find and buy the book would have a hard time. 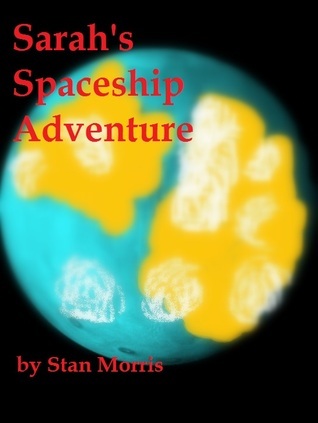 So if you want to find the book you can just follow these link for your Kindle.